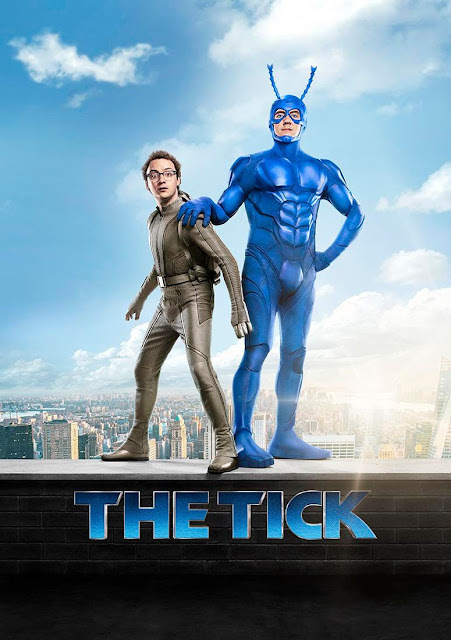 So I finally had time to sit down and watch "The Tick" on Amazon Prime, and it didn't disappoint me. What a beautifully dark and fun show. I didn't expect there to be so much mystery or violence involved. There's even a great amount of gore. The improved Tick costume is a great highlight; the one from the pilot was good but it was a bit drab and watered down. This new suit is bright, vibrant, and full of comic book bounce! I thought it was interesting that they plan on looking into the Tick's past and origins. In the comics and cartoons, and even the previous live action show, that was either shrugged off or played for laughs. I hope we don't get a definitive answer, or one that's too serious. If I remember correctly, in the comics he was just some nut-job who escaped a mental institution and decided to become a superhero. I'm was already sold on the show when the pilot was first available but now I'm even more hooked on it. I can't wait to see what happens next.